At Equestrian Ranch Real Estate we are experienced and committed real estate professionals selling everything from horse properties and raw land, to coastal homes and luxury estates. It is our goal to provide you with the best service and representation. Creative marketing, over 30 years of selling real estate, world wide exposure to over 900 websites, TV advertising, and being connected to all genres of horse disciplines is what we proudly offer to you. Equestrian Ranch Real Estate has sold Horse Properties in San Diego County since 1989. 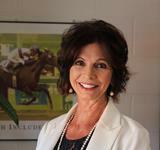 Marla Zanelli has been involved in the Thoroughbred Horse Racing Industry for over 40 years. Many of our clients come from Horse Racing. Sold horse properties from Rancho Santa Fe to Bonsall, to Temecula and out to Ramona. Past clients also from with the world of Polo, Hunter Jumpers and Team Penning. Know back country San Diego real estate - rode horses camping and trail riding all over the county. Coldwell Banker Residential Brokerage is one of the top brokerages in the world. Our Website reaches over 900+ search engines - more exposure for your property. TV advertising! Your property will be showcased on Coldwell Banker’s At Home In Southern California TV show. Exclusive to our clients! Listing concierge includes professional photography, print advertising, direct mail, digital marketing and video. Horses are our passion, so are horse properties & ranches!